Wait a minute! Do you have a swarm of bees in your tree? They might leave on their own! If they don’t, call your Brea bee removal experts at Bee Busters! If you live in Brea, you may need a Brea Bee Removal to rid you home of bees. If you are a cultural enthusiast living in Brea, you should make a visit to the 199-seat Curtis Theater, which you can find located in the Brea Civic and Cultural Center. This theater offers various entertainment opportunities for people of all ages and interests. You can also rent the theater for special performances and meetings. Having a swarm or hive of bees in your area can become a problem, especially if someone in your home is allergic to bees. This is why Brea bee removal is so important. 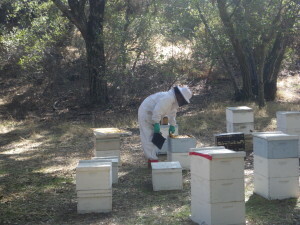 Our Brea bee removal specialists know how to handle Brea bee removal, keeping you from trying to do the job yourself. Not only do we make sure that the bees are gone, but we eliminate the combs and fix the area as well to avoid the chance of future bee problems in the area. The staff at Bee Busters include experienced beekeepers who continue to practice commercial beekeeping and are always willing to help other beekeepers. If you are interested in becoming a bee keeper yourself, our professionals can offer some excellent tips to get you started in this exciting and interesting hobby. So if you are faced with a bee or wasp infestation and need a Brea Bee Removal, you should call and hire Bee Busters at 949-497-6264 or 714-731-1959 for a professional Brea Bee Removal experience. Lovers of the outdoors should head to the Carbon Canyon Regional Park. This is a 124 acre park with a rugged canyon terrain and various recreational activities like hiking and equestrian trails. Additional county programs available here include naturalist-guided tours, nature hikes and group talks. With all these wonderful things to do outside in nature, you will eventually come across some wild animals and insects. If you find insects such as bees out in the public areas, call your city and let them know. If they are on your property, it’s your responsibility. Bee Busters is your Brea Bee Removal Experts. We won’t back down from the bees. So if your wishlist includes a porch free from bees, call Bee Busters today and put those bees in your rearviewmirror. If you end up having a bee, yellow jacket or wasp problem around your home, it is important that you avoid trying to deal with the Brea bee removal task on your own. If you do not have the right equipment to perform a Brea bee removal, it can be dangerous to try to remove the bees without experience. 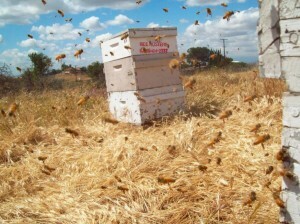 Instead, turn to Bee Busters, Inc., your local Brea bee removal service, to take care of the job for you. Our local Brea bee removal service will have the equipment and professionals needed to remove the bees, ensuring that you no longer deal with the problems that can come with a hive or swarm of bees around your home or business. 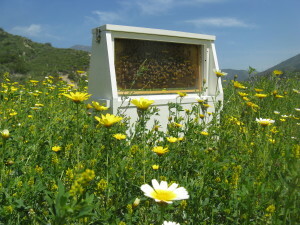 For Bee Removal in Brea, call Bee Busters Today!